Geo-promotions for Business: Just a Hot Trend, or Exciting New Reality? 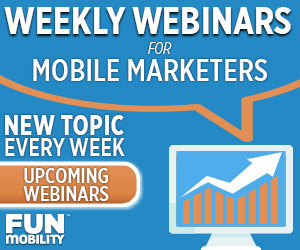 Watch Ken Nowak, VP of professional services at FunMobiility, describe the fine points of geo-fencing, geo-notifications, and geo-promotions as a part of your mobile promotion, and overall business growth strategy. Mobile display advertising continues to grow at an incredible rate, which has opened up new business models such as geo-promotion advertising. Location based promotions put your offers & promotions on the map, literally. Your ability to identify a user’s location and deliver relevant and contextualized ads in real-time provides a game-changing personalization to the world of mobile promotions. This convergence of mobile and location targeting makes mobile promotions the most personal medium to engage your audience. With the addition of location, mobile promotions, namely mobile coupons, are now thrust deep into the heartland of America. Geo-promotion targeting delivers a real- time, and personal experience for consumers, without using mass-mailers, and other random and ‘blanket’ promotional approaches. 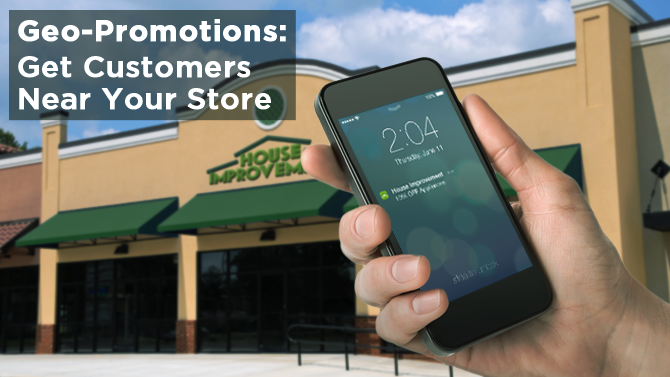 Now, small businesses to the enterprise can leverage geo-promotions to grow in-store business driving foot traffic to generate revenue. Are geo-promotions right for my business? In this ever-evolving world of mobile devices, the ability to deliver geo-promotions is driven by demand from various different business verticals such as retail, automotive, hotel, quick-serve restaurant, and real estate. As an example, many retailers provide store geo-coordinates to a mobile advertising service provider, which are then geo-fenced by the MASP, either mobile ad network or operator, and can then serve your ad within the target radius, whether its 500 yards or 5 miles, based on the specifications of your mobile promotion campaign. Your audience wants to be found and wants relevant coupons delivered to their smartphone or tablet. The proliferation of mobile devices such as smartphones and tablets have led to the evolution and development of mobile coupons as a way to drive traffic into retail stores and quick-serve restaurants. 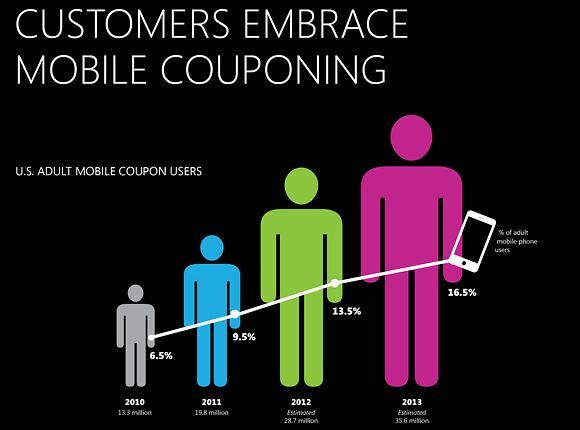 Adult mobile coupon users since 2010 has tripled, and adult mobile phone usage has increased 153% during that same time. Your mobile audience is connected to the network and with geo-promotions, you can be there when they need you! It’s not just the big brands with the big agencies that are now using or exploring the possibilities of geo-promotions. Geo-promotions are not just a hot new trend, they are a hot new reality and FunMobility has the right solution for your business!